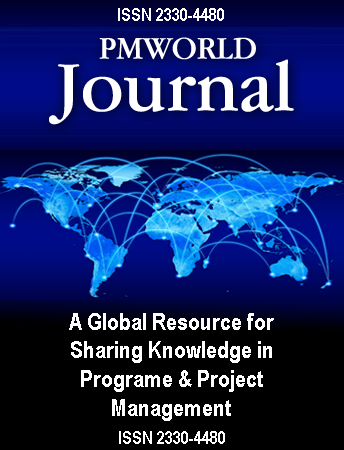 The PM World Journal contains original articles, papers, case studies, reports and other works by authors worldwide who have agreed to share their knowledge or experiences with others. Each edition also contains interviews, tributes and stories from and about leaders in the field. We also occasionally republish papers that have continued relevance and where the authors retain copyright or obtain authorization for republication. Please respect the original work of our authors and do not copy or use their works improperly or without the authors’ permission. The PM World Journal is also a source of new information. Each edition contains news stories about people and organizations engaged in project management, as well as articles about P/PM research, education, events, professional activities, industries, and actual programs and projects. These stories are often created by our active network of international correspondents. Check out their profiles and their works. Read the PM World Journal to stay abreast of new developments in the field of P/PM.